Needing to Just Stop « Kathy Murphy, Ph.D. But for now…the journey continues. After Portland, we headed west for the Oregon coast. Now this is rugged coastline. People live right up on the edges, barely perched on top of 40 foot cliffs, just above the beach. It’s very windy and it’s very cold, even in July. 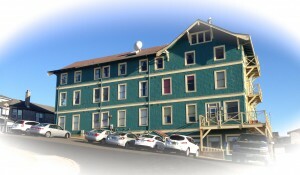 We stayed at the oceanfront Sylvia Beach Hotel in Newport, Oregon. This big ol’ hotel on a cliff is dedicated to authors we all know and love. From Ernest Hemingway, to Mark Twain, Virginia Wolfe and Steinbeck, each has a hotel room dedicated and enshrined to them. We stayed in the Alice Walker Room. In the evening, we had a glass of wine in the reading room and a family style dinner downstairs with all the guests. During dinner, we played Two Truths and a Lie. What a way to get to know a bunch of strangers! Of course, there are no TV’s, cell phones, or internet. Here one can only read or talk about what you’ve read. If you love books and authors, and if you’re ever on the Oregon coast, definitely stay at The Sylvia Beach Hotel. The entire west coast is spectacular and driving it from Canada to Mexico should be on everyone’s bucket list ~ gotta be the most scenic drive in the US. We twisted and turned, and oohed and awed, until we turned east for a short visit to Petaluma, California. But it’s not just about the wine. In Petaluma, you can’t throw a rock without hitting either a winery or a spiritual center. This is our kind of place. In addition to visiting Sonoma, we also visited Spirit Rock Meditation Center for a Monday evening Dharma talk. We checked out the Institute of Noetic Sciences and attended the Unity Church of Marin’s Sunday service. 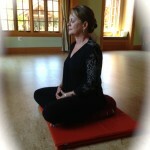 The premier online holistic learning center, The Shift Network, is in Petaluma. You get the feeling that there’s something special going on around here. There’s so much to do, so much to see ~ even a spiritual journey can be very busy. Ratna Ling (translated as Jewel Place) is a beautiful and luxurious Buddhist retreat center built on sacred land atop the Pacific Coastal Ridge. 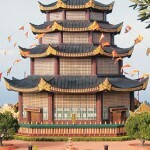 You don’t often hear the words luxurious and Buddhist retreat center together. However, because of some devoted benefactors (and a business model based on Tarthang Tulku’s Skillful Means teachings and the selfless service of many, many volunteers), Ratna Ling is a gorgeous, thriving spiritual community and retreat center . The minute you walk onto the grounds, it feeds every part of your soul. From the cottages, to the food, the practice spaces, and the retreats, instantly you know ~ this is a much loved place and that everything is designed to allow you to just be. Ratna Ling offers peace, stillness, and guidance to all who enter ~ whether you enter as a retreat guest or a Work-Study volunteer. Listen to Chelsea Rappel, the retreat manager, tell us about her experiences in her beloved community. This is a real working spiritual community ~ a sacred sangha ~ devoted to what Rinpoche Tarthung Tulka taught ~ wisdom through action. People from all walks of life commit six months or more of their lives to selfless service. 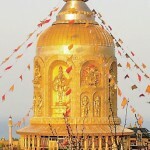 The volunteers participate in the teachings and the practices of Buddhism. In the morning, they meditate and do Tibetan yoga (Kum Nye), and they come together in the evenings to study. During the day, they work hard…but they do it quietly and peacefully with love and compassion. While the grounds of Ratna Ling are still and tranquil, this is actually a very, very busy place. Aside from the training of the 25 volunteers, and the maintenance and service of the retreat center and guests, there’s phenomenal work going on here. And it’s big and important work. The Yeshe De Text Preservation Project, one of the largest text restoration, distribution, and preservation projects on Earth, is fulfilled on these sacred grounds. Watch the video (you really want to, it’s beautiful) to learn about the significance of this massive book project. Know that all of the sacred texts that are being given away for free to the Tibetan people are made by the volunteers of Ratna Ling’s Work-Study Program. There is too much to tell you about all that goes on in this beautiful working spiritual community. We strongly encourage that you take the time to click through all the links provided so you can visit virtually. It’s a worthwhile place to stop for awhile. does not mean to be in a place where there is no noise, trouble, or hard work. This famous peace quote hung on the wall in our bathroom in our old home. Now it’s packed up somewhere, but we’ll bring it back out when we really do stop. Our week-long stay at Ratna Ling has simply reminded us to find peace in the midst of everything and everywhere~ not only sitting on the meditation cushion or walking through nature (though this helps). We seek to the find stillness and quiet in the midst of all our waking hours and all of our experiences. Herein lies the real work of our lives. Knowing now that we don’t have to stop (the journey never really does stop, does it? )…we just have to remember…stop and remember how to be ~ joyous, happy, peaceful, and loving ~ even in the midst of our busy, crazy lives. 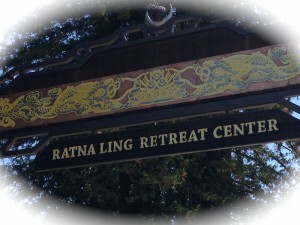 Refreshed and renewed, we leave Ratna Ling today to return to Petaluma for a weekend retreat. While we were at Hollyhock, we met a gentle sweet spirit named Atum O’Kane. And, lo and behold, we signed on to do a two-year Spiritual Guidance program with him and a group of others. This means we’ll be doing eight weekend retreats with tons of community support. 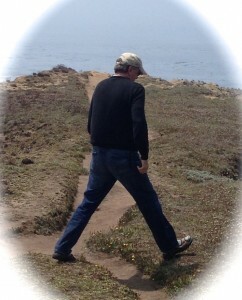 Sunday, we are on to Esalen in Big Sur. Check out this workshop – The Embodiment of Love and Pleasure. This entry was posted on Thursday, August 15th, 2013 and is filed under Buddhism, Journey, Life by Design, Meditation, Pacific Northwest Travel, Retreats, Spiritual Journey, Travel blog, Uncategorized, Unity, Yoga. Oh Kathy, all I can say is your blog is the gift that keeps on giving. Forever grateful, my friend. Blessings as you continue on your journey. Kathy, I imagine it will be difficult for you two to pick your highlight of this journey/adventure/trip. I am in awe. Continued safe travels and we’ll see you when you stop. You two are living the good life. Hubs looks right at home in CA. Great messages here today, a great way to begin my busy Thursday… in the kitchen. 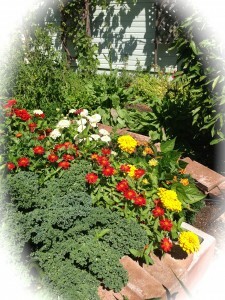 Visit my blog and see my recent productions…as the harvest is bountiful this year. Be well. 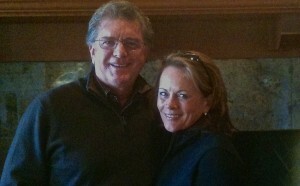 D.
Kathy and Michael, what amazing journey this has been and continues to be. Can’t wait to read that you are headed to San Diego and hear of the last year over a glass of wine… San Diego is waiting! Interesting how our lives are so intertwined. I watched the movie Budda just last night and had a wonderful conversation with a friend about the simplicity of the teachings. The true nature shines through. Blessings to you and Michael on the journey. Can’t wait to see you in January! I hope you guys are doing well. I’m so jealous of your travels. They sound amazing. One suggestion. When in Big Sur be sure to hike to the hot springs if you get a chance. You might have to ask the locals where they are. Anyway have a fun time. Hey Goerge, how wonderful to hear from you and all the rest. 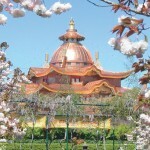 I hope all of you have signed up for your own Buddhist retreat…it will make a difference. Love to all and stay in touch. Love you Shari, Kim, Pattie, Kyra, Deb and Diane. SO glad to hear it continues to enlighten you as it does for me receiving the email updates…;)Many changes throughout this year for me as well. I am just trying to figure out how i can take off on such a journey myself 😉 lol Keep safe and i look forward to hearing from you in the near future…. 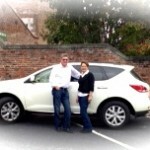 Hello and Namaste’ to Kathy & Michael. Just catching up on your summer adventures, and your journey is inspiring to those of us reading it at home. I am going on an adventure of my own this week (Sept 25) my husband and I are going to London, UK. for a little vacation. We are both looking forward to slowing down momentarily, and seeing the sites in London, Stonehenge, Bath and maybe a train trip to Paris!